As the Trump baby balloon took flight over London, the Women's Equality Party had its own defiant answer to the American president's controversial UK visit. 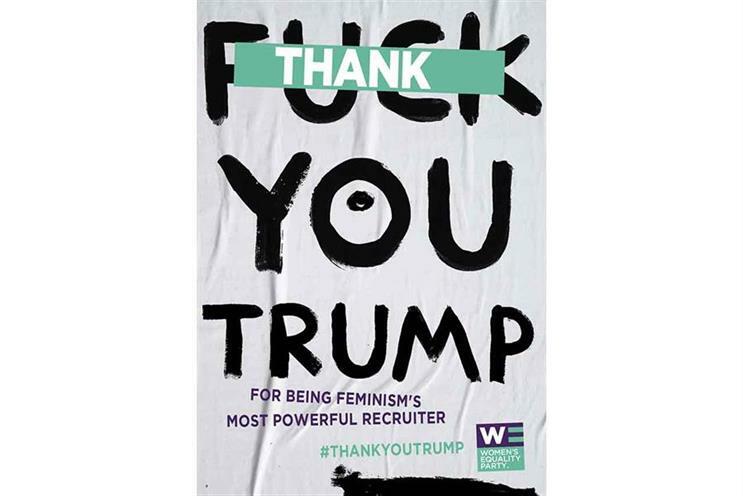 Satirical ads "thanked" Donald Trump for his contributions to the cause of women’s rights, with slogans such as "Thank you Trump – for giving feminism a little hand." The timing of this campaign could not have been better and struck the right tone in galvanising supporters in the fight against misogyny. Plus, it did so with a sense of humour – a powerful tool to unite people and a much-needed antidote in yet another week clouded by political turmoil. I hope at least a few Trump supporters got the message.